Nothing offsets an empty liquor bottle collection and living room set from Rooms to Go like original artwork. 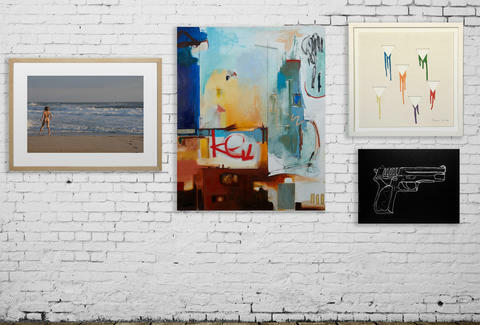 Described as Netflix for art, this service lets you nice up your nest and support talented artists by renting their pieces. And if you like ‘em, buy ‘em!